The gloomy weather outside hasn’t stopped us from having a great day at The Loft today! In fact, it’s been another great week! Did you know that it is Children’s Dental Hygiene month? This means a lot of fun activities for Dr. Emery and the rest of the Sugar Squad. 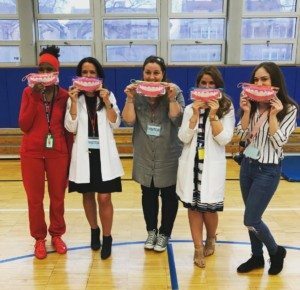 This past week Dr. Emery and Paxton (her dental assistant), as well as Larissa (her videographer) and Lauri (Dr. Emery’s personal assistant) and her husband Andrew went to Lincoln Elementary to teach Dr. Emery’s daughter’s 3rd grade class all about teeth. The 3rd graders learned all about tooth anatomy and how to keep them nice and clean at home. Everyone loved it so much, she’ll be back to teach other grades! Leading into March, we are all starting to gear up for the beloved wedding season. 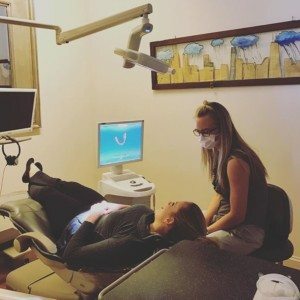 This week we had multiple brides come in wanting to get their picture perfect smile for their big day! It is so exciting for us to do cosmetic transformations, especially when it has such a huge impact on such a major life event! Our in-office ZOOM whitening, veneers, and crowns all make it possible to have the smile you’ve always wanted! 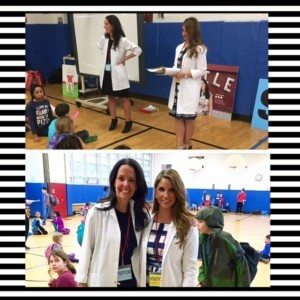 In other great news, our associate doctor, Dr. Allison Alberts has been quite busy as well! Dr. Alberts graduated dental school with a specialization in prosthodontics. This week, both she and Dr. Emery placed multiple implants using advanced technology that makes a somewhat scary process quick and painless! Implants are a great way to restore missing teeth or teeth that have been extracted and need to be replaced with a more permanent solution. Implants require some time and patience but are well worth the wait. Once an implant is placed, it’s important to let it heal for 3-4 months. During this time, the implant becomes integrated into the patient’s natural bone structure. Once fully healed, a crown restoration is placed on top. No one will ever know you were ever missing a tooth! It’s safe to say the Sugar Squad is looking forward to all the exciting transformations to come with more implants than ever and creating confident smiles all across Chicago!